Pick up your bicycle, mount your smartphone on the handlebars, get outdoors, and be art! 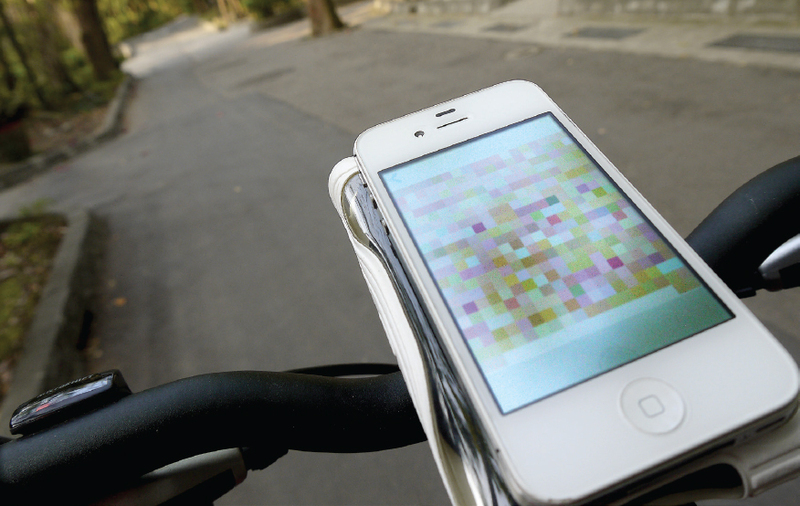 CycleMosaic is an app that weaves your cycling trips into visual mosaics of your adventures. Vibrations travel up through the forks, stem, handlebars, and into your hands while pedaling along the road. Meanwhile, you feel the power from your legs moving into the crankset. Via the CycleMosaic app, all the accelerations and tilts are transformed into RGB and transparency presentations, forming a mosaic. These mosaics open up a new opportunity for conversation, inspiring those who see the images to try CycleMosaic for themselves.